Long Beach Sportfishing at Berth 55 is conveniently located at 555 PICO Ave. just off the 710 Fwy in the Port of Long Beach. We offer 3/4 Day, Full Day, Overnight, and 1 1/2 Day trips. FREE PARKING, and No Fuel Surcharges! Our Tackle Shop has everything for a fun and successful day on the water. 1 Day Fishing License $16.20 (Annual $55.60), Rod Rental $18-$20 and Tackle $7-$10 are available for all trips. All our vessels are available for Private Charters ALL BOATS ARE INDEPENDENTLY OWNED AND OPERATED. BERTH 55 LANDING LONG BEACH SPORTFISHING ASSUMES NO RISK TO PASSENGERS WHILE ON BOARD VESSELS. A variety of tackle is available specific for the trip you chose. We carry a wide variety of OWNER Hooks, as well as a wide variety of sliding sinkers, ranging from 1/8th oz to 4 oz, along with various sizes of GLOW sliders. We also carry a large variety of torpedo sinkers, from 3 oz up to 2 lbs. In the "lures" category, we carry a large supply of AA Plastic lures, from 4 inch to 9 inch, from twin tails, swimbaits and the new "Octopus" mold. We have a great variety of iron jigs as well, including TADY Lures, LINGCOD jigs, MEGABAITS, 187 jigs, and FALL FLATS. We also carry HOOKUP BAITS. We have a wide variety of lead heads as well. We carry tri-heads, bullet heads, and banana heads in a wide variety of colors and sizes. We also carry P-LINE fishing line, in monofilament from 12-60 lb, and fluorocarbon from 15-60 lb. 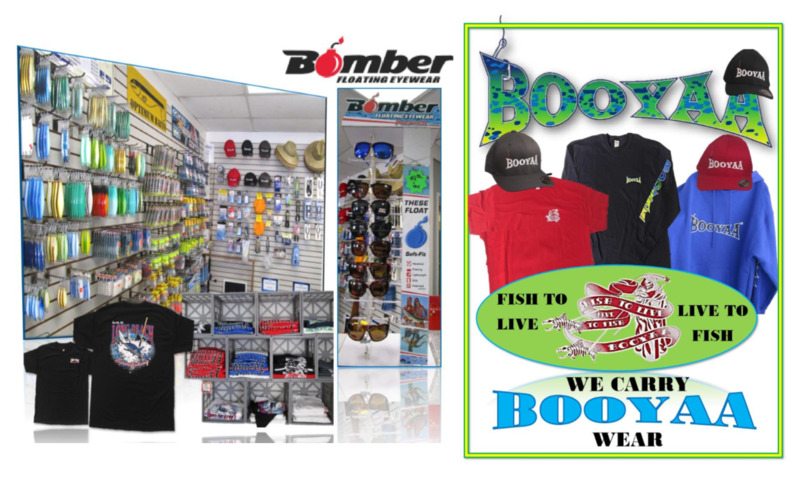 We also have a great variety of BOOYAA clothing and hats, as well as Long Beach Sportfishing apparel. We also carry special rigs for sanddab, squid, and halibut. Sacks, towels, needlenose, cutters, gloves, clothing and fishing hats also available.